Celebrating Innovation and Excellence in Public-Private Partnerships, CCPPP (The Canadian Council for Public-Private Partnerships) announced the 2016 National Awards Recipients. As the architects of record (Parkin Architects Limited in JV with Adamson Associates Architects), we are proud to share the good news. 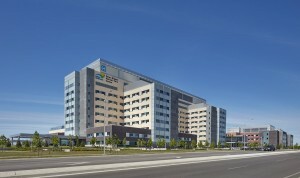 Oakville Trafalgar Memorial Hospital is the recipient of the Gold Award for Infrastructure. The new hospital replaces a legacy hospital. It has the capacity for 457 inpatient beds and additional space to accommodate up to 602 beds in the future.